Local Government Super is a specialist provider of superannuation and account-based pension products for all members of the community. If you are under the age of 18, but earning more than $450/month before tax, you must be working more than 30 hours per week to qualify for super. If you satisfy all of the above eligibility criteria, then you can apply to join Local Government Super. You can sign up for a Local Government Super account by clicking on its products in Canstar’s superannuation comparison tables and then sign up online on its website, or call 1300 547 873 (available Monday to Friday between 8.30am and 5 pm). Can I manage my Local Government Super account online? Yes, Local Government Super has a dedicated online portal for its super fund members. You can view your account balance online, access statements for your account, download super fund information and more. Access the online portal here. How is my super invested with Local Government Super? When choosing an investment option, it is important to take into account your investment timeframes and goals, and your personal risk tolerance for market fluctuations. Learn more about how to choose between different investment options on the Canstar website. How do the fees on Local Government Super compare to other funds? The table above shows the total fee cost per year to have a super account with Local Government Super. Compare these fees to the average super fund fees on our database, as it’s important not to let your super be eaten away by fees before you retire. Can I consolidate my super with Local Government Super? Yes, Local Government Super offers a consolidation service for members who have super in other funds. It’s important to check with your old super funds for information regarding costs such as exit fees and insurance cover you may lose if you switch super funds. If you have any questions or concerns about the rollover process, give Local Government Super a call on 1300 547 873. What should I check on my annual statement from Local Government Super? The big picture – are you happy with your super fund overall? Established in 1997, Local Government Super was traditionally made for employees, spouses and family members of the NSW local government employees. It is now an open super fund which means those outside the government can still enjoy its great member benefits and ethical investments. 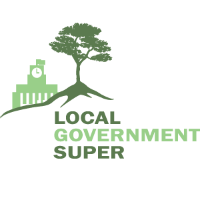 As an industry super fund, Local Government Super is a not-for-profit organisation that exists for the benefit of members. Its goal is to maximise retirement benefits for members. By providing quality superannuation, retirement, education and financial services for members, Local Government Super is proud to be one of the lowest cost super funds on the market. 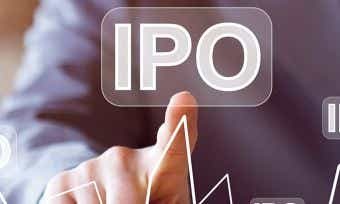 Investing in IPOs - How does it work? ING ends overseas ATM fees - how much could you save? Private Health Insurance Reforms 2019: What’s Changed? Please note that all information about performance returns is historical. Past performance should not be relied upon as an indicator of future performance; unit prices and the value of your investment may fall as well as rise. The results are general advice only and not personal product advice. Canstar is an information provider and in giving you product information Canstar is not making any suggestion or recommendation about a particular product. The information has been prepared without taking into account your individual investment objectives, financial circumstances or needs. Before you decide whether or not to acquire a particular financial product you should assess whether it is appropriate for you in the light of your own personal circumstances, having regard to your own objectives, financial situation and needs. You may wish to obtain financial advice from a suitably qualified adviser before making any decision to acquire a financial product. Please refer to the product disclosure statement (PDS) and Canstar’s Financial Services and Credit Guide (FSCG) for more information, and read our detailed disclosure, important notes and liability disclaimer. The Superannuation Star Ratings in this table were awarded in March 2019. View the Canstar Superannuation Star Ratings Methodology and Report. These results are general advice only and not personal financial advice. Ratings are only one factor to take into account when deciding whether to make an investment. Consider the Product Disclosure Statement before making a purchase decision. Superannuation products displayed above that are not 'Sponsored' are sorted as referenced in the introductory text to the table. Canstar may receive a fee for referral of leads from these products. See How We Get Paid for further information. Products displayed above do not include all products/providers and may not include all features relevant to you. Please note that all information about performance returns is historical. Past performance should not be relied upon as an indicator of future performance; unit prices and the value of your investment may fall as well as rise. Performance information shown is for historical periods up to 31/12/2018 and investment options noted in the product information. Performance figures shown reflect net investment performance, i.e. net of investment tax, investment management fees and the maximum applicable ongoing management fees and membership fees. Performance information is provided by Rainmaker Information Pty Ltd ABN 86 095 610 996 AFSL 461816 (www.rainmaker.com.au) which provides general information on superannuation. Performance data may not be available for some products. This is indicated in the tables by a note referring the user to the product provider, or by no performance information being shown. Any advice on this page is general and has not taken into account your objectives, financial situation or needs and is not a recommendation for your particular circumstances. Consider whether this advice is right for you. Consider the product disclosure statement before making a purchase decision. You may need financial advice from a qualified adviser. Performance, fee and other information displayed in the table has been updated from time to time since the rating date and may not reflect the products as rated. The performance and fee information shown in the table is for the investment option used by Canstar in rating of the superannuation product. 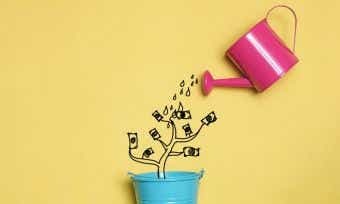 Investment returns of superannuation products: Canstar considers the annual investment returns of a product’s default investment option, including the default life-stage option where applicable. Where a product does not have a default investment option, annual returns for the investment option with the highest funds under management (FUM) and a 60-80% growth asset allocation are used. Annual cost includes administration fees and indirect costs (including the investment fee, performance fee where applicable, and any other indirect management costs). 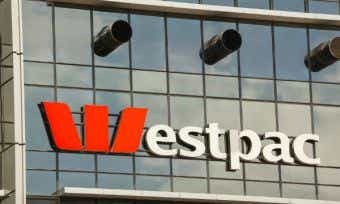 This cost is calculated based on the super balance specified and the investment option considered in the 2018 Superannuation Star Ratings, which is the default investment option (including default life-stage options). Where a product does not have a default investment option, annual fees for the investment option with the highest FUM and a 60-80% growth asset allocation are used. • Fee, performance and asset allocation information shown in the table above have been determined according to the investment profile in the Canstar Superannuation Star Ratings methodology that matches the age group you selected. • Some providers use different age groups for their investment profiles which may result in you being offered or being eligible for a different product to what is displayed in the table. See here for more details. • SunSuper’s allocation of funds for investors aged 55-99 differ from Canstar’s methodology – see details here. • The Sunsuper for Life product may appear in the table multiple times. While you will not be offered any single investment option, this is to take into account the different combinations of investment options SunSuper may apply to your account based on your age. For more detail in relation to the SunSuper for Life product please refer to the PDS issued by SunSuper for this product. • QSuper sets different balance ranges, resulting in a different investment mix in some cases to that resulting from Canstar’s methodology – see details here. • Investment profiles applied initially may change over time in line with an investor’s age. See the provider’s Product Disclosure Statement and in particular applicable age groups for more information about how providers determine their investment profiles. This advice is general and has not taken into account your objectives, financial situation or needs. Consider whether this advice is right for you. Consider the product disclosure statement before making a purchase decision. Canstar provides an information service. It is not a credit provider, and in giving you information about credit products Canstar is not making any suggestion or recommendation to you about a particular credit product. Statistics referenced on this page have been verified by Canstar Research. Research provided by Canstar Research AFSL and Australian Credit Licence No. 437917.